Are you tired of The Same Candy, Cookie, Gift Wrap Fundraisers? A coffee and tea fundraiser is one of the most successful fundraising products ever. Over 80% of households make and drink coffee and/or tea at home, so why not sell something that families actually desire. Not all coffee and tea is created equal. You can be confident that your fundraising customers will love our Infrared Roasted coffee and custom blended loose leaf signature teas. We have a passion for working with non-profits. It allows us to assist individuals and organizations whose primary purpose is to help others. Schools, Churches, Community Organizations, and most other non-profits appreciate our coffee fundraising program because in addition to face to face fundraising it also allows for online fundraising to reach family, friends, and supporters who live further away. Our executive team has worked with non-profits to raise hundreds of thousands of dollars over the years for their organizations. Whether you are a large non-profit or a small one, traditional school or a charter school, we can tailor a program to meet your needs. No setup charges! We provide a great way to add value and make your fundraiser truly unique, by giving you the option of co-branding each of your coffee and tea packages with your own logo. Your customers will think of you every time they make a cup of coffee or tea! Traditional Fundraising – For traditional face to face fundraiser campaigns, combining all your pre-orders for bulk production and delivery we try and provide you with a minimum of 40% profit margin for traditional person to person fundraising and 20% profit for online fundraising. Higher profit margins are possible since we give you the option of setting a higher selling price for traditional face to face campaigns. In addition to successful face to face traditional campaigns, we also allow you to sell online. Traditional face to face campaigns are more profitable, but with nationwide direct home delivery you can promote sales electronically and email friends and family wherever they live. You can promote face to face, online, or both. It’s your choice. Sign up anytime on your schedule. Freshly infrared roasted small-batch coffee made with the finest Fair Trade and Organic 100% Arabica beans. Our unique, premium, loose leaf signature blended teas will ensure a truly memorable experience. Our artisan crafted specialty coffee and teas are sent straight from us to you! Our coffee and teas are about the same, or lower, than the retail price of comparable specialty coffee and teas. Earn 40% profit per bag of coffee with our traditional in-person fundraiser or 20% with online fundraiser sales year-round. We never make you order products that you haven’t already sold, and it costs nothing to sign up and start fundraising! No matter how much you sell, there is no minimum requirement. For traditional fundraisers, we co-brand our coffee and tea bags to feature your group’s name and/or logo on the label free of charge. There is also a private label option. We provide you with custom order forms, marketing materials, and support to help make your fundraising program successful. Once your order is placed and paid for, we roast, pack and ship it as soon as possible. Expect delivery in 5-14 business days so that you can deliver products quickly! *Shipping is free for local San Francisco Bay Area orders. Or for orders of 100+ items, (very easy to reach) when delivered to a school, church, business, etc. You can email and/or call us for any questions or concerns that you may have throughout the fundraising process. PJ’s Roasted Bean is here for you! Looking for new fundraising ideas? PJ's Roasted Bean has simplified fundraising for Sports Teams, Schools, Churches, Youth Groups, Band, Dance, Scouts, and Non-Profit Groups by providing two great programs. With this fundraising program participants use our convenient brochures to sell PJ's Roasted Bean Coffee and teas to friends, family, and neighbors for huge profits! Our unique online fundraising program is perfect for groups that do not want participants selling products door to door, or for groups looking for a broader reach to non-local friends and family. This fundraising program can be combined with the Traditional Fundraising Program as well! Customers purchase coffee and tea online; we roast and pack it fresh, and ship it directly to them. We tally your online sales quarterly and send you a check! – It’s that easy! Your fundraiser will be issued a coupon code. Your organization will receive 20% of all attributed web sales. Work directly with a PJ's Fundraising Specialist who will guide you through the process to ensure your program runs smoothly. We utilize infrared technology to roast the best 100% Fair Trade, Organic, Arabica Beans. And we custom blend our signature teas. You'll taste the difference! Pj's Roasted Bean Coffee Company believes in supporting and giving back to local communities and their non-profits. 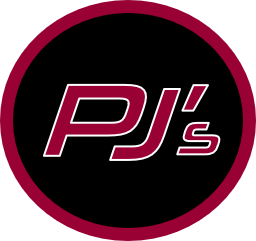 In addition to working with charter schools to set up successful fundraising campaigns, PJ's donates a portion of its proceeds to local and national charities. Together we can make a difference in our communities. Our coffee is never burnt, never bitter, and is full flavored with a very smooth finish. We roast in small batches to draw out the richest flavor profiles using 100% Arabica Beans. Infrared roasting helps preserve the natural antioxidant value in coffee that is beneficial to our body’s immune system. Infrared roasting produces less harmful gas omissions making infrared roasted coffee a greener choice. Only around 2% of commercial coffee worldwide is infrared roasted. Call us at 888.757.2018 or complete the information below and one of our representatives will contact you. Please provide me with more information on your Charter School Fundraising Program. We appreciate your interest in our Non-Profit Fundraising Program. One of our representatives will contact you within 24 hours or the next business day.